Absolute Funk are an extremely exciting band from Yorkshire who just keep blowing away dancefloors! Featuring some of the regions finest musicians, including the simply awesome guitar and vocal skills of Joel Harding. This is a premier league quality band who receive nothing but rave reviews wherever they've been booked. You'd be fooled into thinking that all they're about is funk classics though. Absolute Funk have performed at so many weddings and functions that they know their audience and what they want. Of course, its true that they certainly know how to funkify the mood, but check out their extensive repertoire and you'll find some bang up to date pop party tunes in there too! This is a very flexible outfit - available in 4-piece (vocal, guitar, keys & drums), 5-piece (vocal, guitar, keys, bass & drums) or 6-piece (vocal, guitar, keys, bass, drums & sax) options. What's more, they can also be augmented to include additional vocalists, sax or percussion to allow you to put your personal stamp on things. You'll get 2 x 45 minute live sets and a laptop DJ service as standard across all line-ups. A fully professional DJ service can also be upgraded into if desired. Of course, you'll also be assured of state-of-the-art PA sound and lighting equipment included with every booking. Don't hesitate, this is an incredibly popular band so get in touch with your local Hireaband office today to see if they're available on your date! Be sure to also check out Joel Harding's Solo profile as well as Absolute Jazz, both also featured on the Hireaband roster of the UK's finest bands and entertainers! Sorry, Absolute Funk doesn't have any photos right now Send us an enquiry and we'll get back to you, or check out the rest of the act profile. Sorry, we don't have a setlist for Absolute Funk yet Send us an enquiry and we'll get back to you, or check out the rest of the act profile. The perfect accompaniment to our Special Day. Joel was simply magnificent and played before the service, and was a great addition throughout our Wedding Breakfast. All our guests really appreciated the atmosphere he created and we would highly recommend including him as part of your day. The band had everybody dancing with their fabulous mix of modern and classic music, and really made our evening reception extra special. If you?re thinking of a band, BOOK THEM!! If they're playing GO AND WATCH THEM!! Quite simply some of the most talented and genuine musicians out there YOU WILL NOT BE DISAPPOINTED!! I would recommend this band to anyone who wants to get the party started! 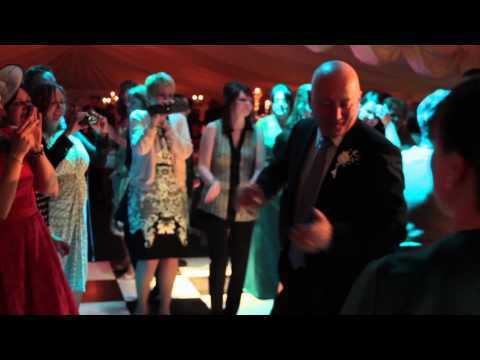 They really knew how to get the crowd going and created a fantastic atmosphere at our wedding playing all our favourite music to a really high standard. We had several of our guests asking who the band was and how they could book them in the future as they were so impressed. The quality of the musicians was excellent and they were very discreet when setting up and packing away so as not to interfere with our day. A class act. The band were terrific and we had an amazing party. So many people commented to us about how good the band were. I think the only downside for you guys was that because it was such a hot day a lot of people chose to chill on the veranda and listen to the music there rather than boogieing on the dance floor, although when Caroline and I left there seemed to be plenty of people still dancing! So job well done and apologies for not emailing you sooner and thanking you for helping to make our day so special. Thank you ever so much for making our wedding funktastic! You entertained our guests from the first note to the last and people of all ages commented about how good the music was and said that they could not stop themselves from dancing, everyone had the best night and we had a wedding party that we will never forget! Lou and I are now racking our brains to think of a reason to hire you again! Stuart & I just wanted to say thanks so much for the excellent music at our wedding. You guys went the extra mile and the evening will certainly be one we will never forget, especially as so many people have remarked how excellent the band were?. When my wife and I were planning our wedding reception we hired Absolute Funk Band as our live entertainment and were in no way disappointed. Everyone loved the music and rightly so as all of the band members looked and sounded amazing. I even arranged a special surprise for my new wife and sang a song for her with AFB playing the music? they were very encouraging and more than willing to help out. I would hire them again in a heartbeat! The band were fantastic, they looked good and sounded excellent! They made the party a great success! The dance floor was never empty. They are a nice crowd and really friendly. I will recommend them to any of my friends wanting a live band. Thanks again! What can I say about Absolute Funk Band! You fulfilled and exceeded our expectations that night. All the instrumentalists were very good players, the singing was in harmony, the song choices and the subsequent requests were played to perfection. You were all so polite and obliging and certainly played longer than you were paid for. My youngest son may get married in June 2012 in Bradford and when dates are confirmed, I'll certainly want to book you again. A big thank you to Joel and everyone in Absolute Funk for making our wedding such a memorable day. The dance floor was packed from start to finish and no requests we made was too big a task for you to accommodate. Absolute Funk are a fantastic band who have the ability to get everyone on the dancefloor from teenagers to grandparents! They played at our wedding, and managed to bring a wonderful mix of relaxed soul and funky R&B to what ended up feeling more like a lively family party than a formal wedding! Several people commented on how good the band were, and they were extremely professional and reliable a must when organising a wedding. We had a special request (my best friend sang our first dance track) and the band happily provided the backing music ? Joel managed everything with the utmost professionalism. 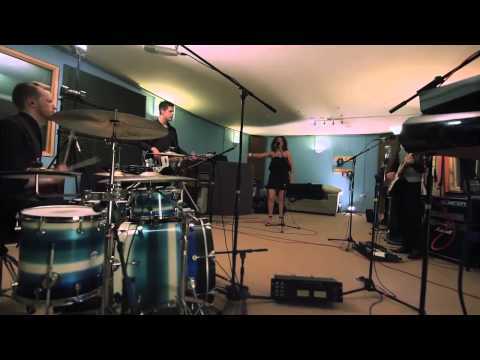 Absolute Funk Band absolutely made our wedding on 2nd Jan 2011! We had been to see them at the Tramshed and knew that they would go down a storm at our wedding and we weren?t wrong. They played such a great mix of music something for everyone and the dance floor was full all night. They played our first dance song, Al Green's Let's Stat Together perfectly and I hardly left the dance floor after that. We have had so many amazing comments about the band and how they made the night. Everyone really enjoyed themselves. A lot of our guests have been asking where they can see Absolute Funk Band again so we are keeping our ears open for any future gigs! Thank you so much for helping to make our wedding day so special and definitely one to remember!